Our Kalamazoo sedation dentist can work with you to decide which form of sedation dentistry would work best for your next procedure. 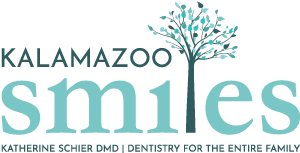 At Kalamazoo Smiles, our team is highly experienced and will monitor you throughout the sedation process to ensure your safety and comfort. Oral conscious sedation is a stronger sedative than nitrous oxide, but you will still be responsive during your dental procedure. Oral conscious sedation will put you in a state of deep relaxation that still allows you to stand, walk, move, or answer any questions our Kalamazoo dentist might have during the procedure. Many patients who opt for oral conscious sedation have little to no memory of their dental procedure after the fact, which can be a relief for patients with dental anxiety. For more information about using sedation dentistry with your next treatment, contact the Kalamazoo, MI sedation dentist of Kalamazoo Smiles at (269) 353-3700.